Pitches A : De 80 à 120 m2 Minimum 2 persons from 14/07 till 24/08. Pitches B : De 120 à 150 m2. Minimum 4 persons from 14/07 till 24/08. 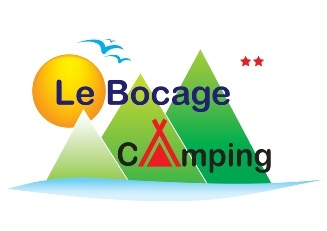 Taxe Locale de Séjour : 0.20 € / adult + 18 years / night. Mobil-homes : These rates are for an occupancy of 1 to 4 people. Chalet : These rates are for an occupancy of 1 to 5 people. For each additional person, it is necessary to count 20.00 € per week. 2 more people maximum for the mobile homes and the chalet. 2 Weeks : 10% of reduction on the total price. De caravan is ingenomen met maximaal 2 personen. We accept dogs in our houses under certain conditions. Terms of the cancellation insurance, click here. For each additional person, it is necessary to count 5.00 € per night. Any person visiting persons who have reserved a location or a rental is considered a visitor. Upon his / her arrival, every visitor must go to display the welcome from the campsite. we offer free WiFi connection now. we ask our campers to use the Internet in a reasoned way. The connection is possible at the reception. Our friends dogs are welcome. Please note that from 28 June to 24 August, only small dogs are allowed on the naked locations. It is better to contact us in advance. From 28 June to 24 August, they are not accepted in our rental. Dogs classified in categories 1 and 2 of the Act of January 6th, 1999 are prohibited. camping by preventing the draw and barkings. All animals must be on the site to date on vaccinations. as well as in the integrated common parts. We offer for rent a small refrigerator type "Top". The electrical connection 3A is not included in the price below.